Networking is giving without expecting to receive. Great networkers realise that it is a 2-way activity. If we expect to receive something without ever giving then we’ll undoubtedly be disappointed. In a nutshell, we see networking as earning the right to ask a favour. Give yourself one point for each ‘Yes’. If you scored 9-10 out of 10 Excellent, you’re a great networker. Your challenge now is to hone your skills to further improve your competitive edge. If you scored 5-8 out of 10 Well done, you’re following a lot of behaviours that it takes to be great. 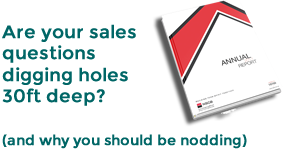 With a bit more effort you can really start to use these skills to smash your sales targets! If you scored 0-4 out of 10 We think you’ve got a bit of work to do to grow your business through networking. Look at the behaviours and activities followed by great networkers and see how they could work in your business. Adopting a strategic approach in selecting events to attend or introducers to approach. Working other parts of your own organisation. Building relationships with colleagues who can add to your business development efforts. Identifying other organisations/individuals with which to commence a relationship. What to do at a function? Working the room; Establishing new contacts; Breaking into and leaving groups; Conversation starters and finishers; Proactive use of business cards; Listening skills; Introducing yourself; Preparing a list of questions; Dealing with different personalities. Follow up and building the relationship after the first meeting. Planning for success and time management. At Hawthorn Business Group we know that our lifeblood is new customers. If you’re serious about growing your business talk to us about upskilling your people to ensure that you set them up to succeed.